There’s a clear difference between legitimate small business marketing and scammers. Most small business owners are inundated with phone calls, emails and website comments that are trying to sell them dubious SEO products or Google listing services. These kinds of scams take in millions of dollars a year, and Google has announced some new features to protect consumers and to tackle the problem of online scammers. There are a wide variety of online scams targeted toward business owners. They can be generalized into a few different categories, but almost all of the scams involve charging business owners for services that are free or using threatening tactics to keep business owners paying a subscription fee for useless services. As one would suspect, if small businesses are getting a lot of calls from scammers, then Google gets a lot of call from small businesses complaining about said scammers. Advertising regulators in the U.S. have taken notice of these kinds of scams and they’ve begun targeting these operations for their violations of the rules on truthful advertising. 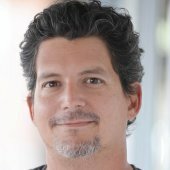 Earlier this month, the Federal Trade Commission brought action against the firm Point Break Media, LLC (and related entities and individuals) for misleading small businesses with threats to remove their listings from Google Search and Maps and demands that they pay for unwanted search optimization services. Google has announced that they too will be getting tough on these scammers. For example, Google will also be taking legal action against the aforementioned Point Break Media, LLC and other related entities. This is good news for small business owners and marketers. Fraudsters who use online marketing as a means to dupe small business owners hurt the efforts of legitimate marketers by making people associate online marketing with scams. 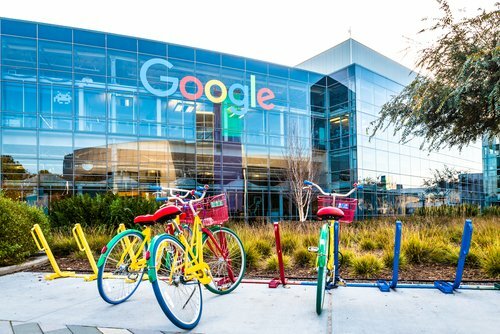 Google has developed “new automated and manual techniques to better identify Google accounts tied to scam efforts”. Google also updated their policies to be stricter on accounts tied to scam efforts. For example, if Google suspects an account is tied to improper marketing campaigns, Google can limit the functionality of the account or remove the account entirely from Google. The types of scams mentioned in the new announcement from Google are not new scams. In fact, the FCC has been targeting these kind of misleading ads for years. One of the problems has been that without information from the public, it can be hard to identify and track down violators. To make it a little easier to find online scammers, Google created a new tool that lets business owners report scammy practices and policy violations, and provide the specific information needed for Google to take action against these third parties. So scammers can no longer rely on the difficulty of the reporting process to keep business owners from telling Google about scams targeting small business owners. One thing will affect all marketers is a new Google My Business Partners program that will soon be launched. The program will give business owners a directory of trusted partners to choose from when they need help managing their listings. As more information about this program becomes available, small business marketers should try to get listed. This will immediately make marketer more trustworthy to business owners. For more recent news about Google, check out this article on Google AdWords’ plan to make parallel tracking mandatory for all ad accounts in the near future.